Before I get going, I need to give a huge shout out to Karen Williams for taking the time to organize and host this blog hop!! 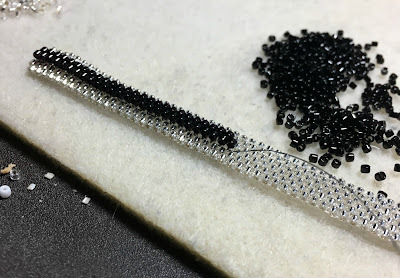 It is exactly these type of activities that made me love the blogosphere to begin with and that used to and continue to motivate and inspire me with bead work and blogging! I'm not sure I'd even have had the impetus to blog today if I didn't sign up for and have this blogging 'commitment'! The weather had been glorious around here and the spring birding has been outstanding. So needless to say, I've been giving birding a lot more attention lately. There is a fantastic great horned owl nest, ridiculously close to my house that I've been visiting quite often. Probably an inordinate amount of visits. But gosh they are so cute and they grow so fast! Although these two items definitely spent a little more time on "The Other Tray". You know that one, the tray that has items that you want to get back to right away, and you don't move that beadwork until it starts to get dusty. And then you realize it actually needs to go in the UFO drawer, so it stops getting dusty? And oh, also because there is yet ANOTHER bead project you'd like to get going? Sound familiar? So I started with the blue and gold one. Simple but time consuming, I'm glad this one is finished and has made space for other UFO's to take it's place int he UFO drawer! 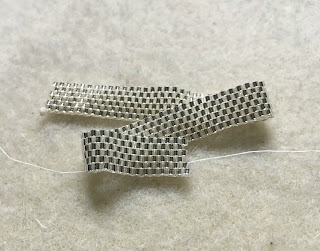 And what about the silver peyote strip? Well.....it looks like this one is poised to be the project for the next UFO blog hop! Thanks again Karen!!! 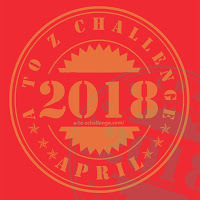 Please take a moment to visit the rest of the group who participated in this inspiring hop! BABY OWLS!!! I'm no birder, but now that I'm out in the country, I find myself observing their behavior more and more. And I've always been a lover of owls. While we've heard some out in our neck of the woods, I've yet to actually see any. I can't fathom how you find them and get so close. But, at least I can count on you to share picture of baby owls (owlings, owlettes, whatever). As for your UFO, it's GORGEOUS! My high school colors were blue and gold, so this bracelet totally draws me in. Ha! It's so very pretty, and meticulously done. Can't wait to see what becomes of the next one! 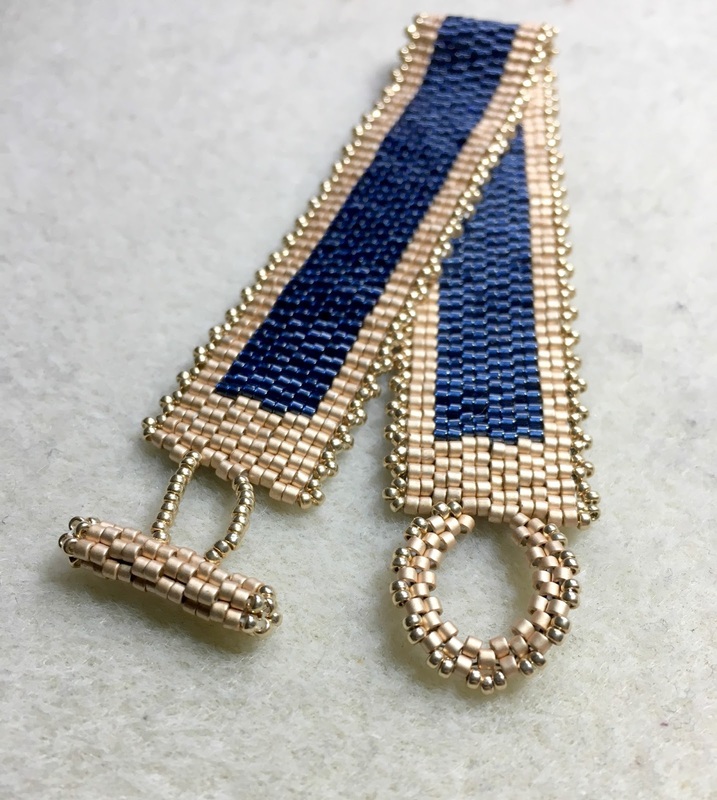 Good for you for finishing the blue and gold bracelet - sometimes things like adding the clasp or weaving in the thread ends is enough to put a project into the drawer, but now that this is done, it'll be great to wear all summer. And I love what you're doing with the silver bracelet. That will be beautiful when it's done. 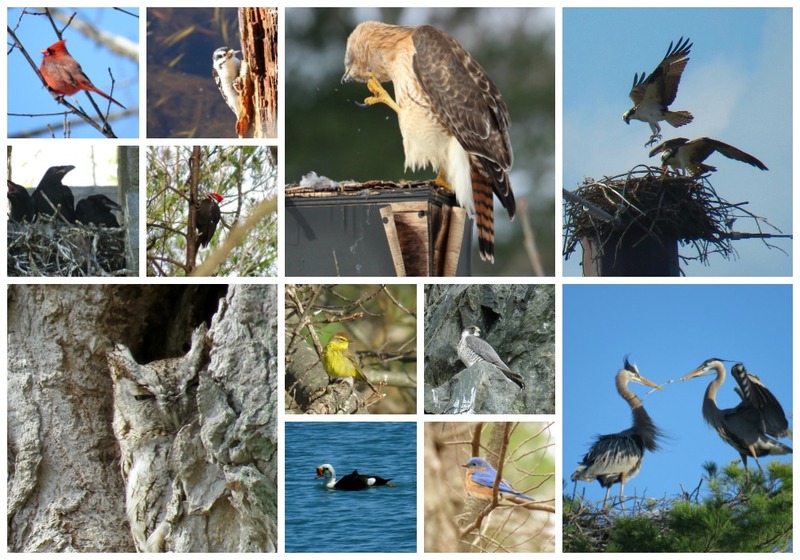 Thanks, too, for sharing all your birding photos - what a great hobby! Awesome finish and pics too! All my birder friends find owls all the time and I have yet to see one in real life! I look into all the trees all the time but with no luck. Your bird photos are wonderful. I try to take pictures of birds, and they become dark shadows in a field of green, or brown, or whatever. I can totally see why you'd be haunting the horned owl nest. 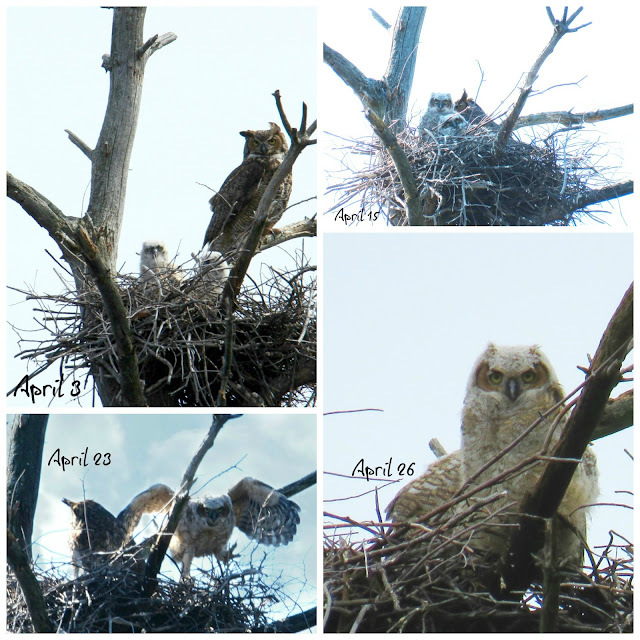 Can't believe what great photos you caught of the owlets. Thanks for sharing. You always make me smile with your writing - your summary of an project's transition from the 'other tray' to the UFO drawer is so spot on. Congrats on moving yet another object out of the drawer. Your blue and gold bracelet looks perfect to wear to a summery party or out for drinks with friends. And I like where you're going with the silver. I can see why you got distracted with all that birding! I love your peyote cuff, the colors are so rich! I need to learn how to do a beaded toggle ... but I'm afraid I'd create more UFOs half finished in the attempt - gah! Birds will fly away, so it's nice that beads will wait. I do love your bird pictures. Owls are one of my favorites. When I lived in the country I'd listen to them hooting back and forth. 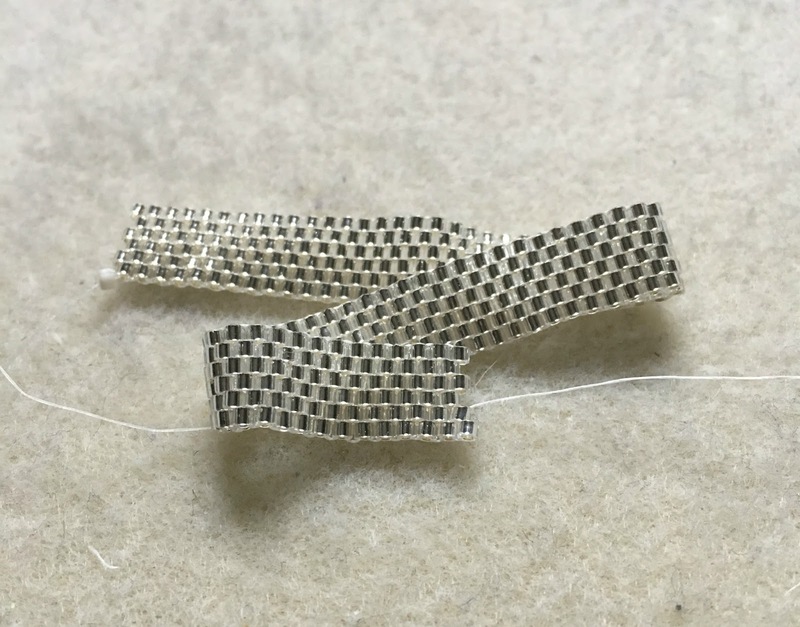 Have you looked for pellets to take apart? Gross but interesting. The blue and gold bracelet came out so well. 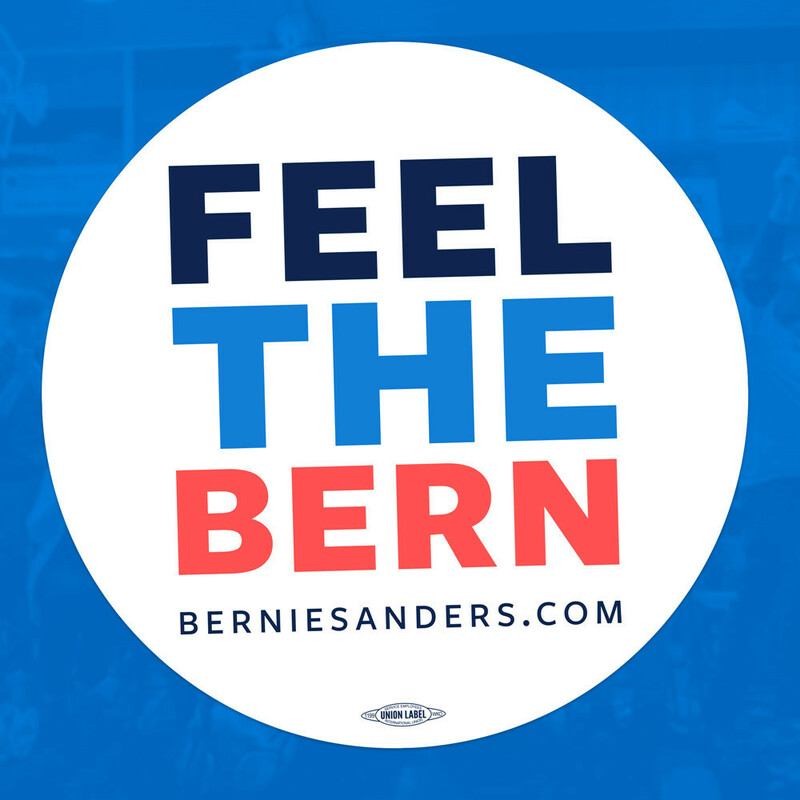 The clasp is often the ick part so bravo, you did it! The silver and black looks like it has great possibilities. Cant' wait to see what it becomes! Hi Amy I always love seeing your bird pics. Where I live I hear the owls calling all around sometimes they are so close they wake me up. I love your blue and gold bracelet and I can not wait to see the finished silver one. Oh my goodness, your bird pictures are spectacular! I am so jealous of your nearby owls nest. We are fortunate enough to get a few hawks in the backyard from time to time, but I would love to see owls up close. Congrats on finishing the blue and gold bracelet. It is quite lovely, and definitely very wearable. The clasp is particularly nice. 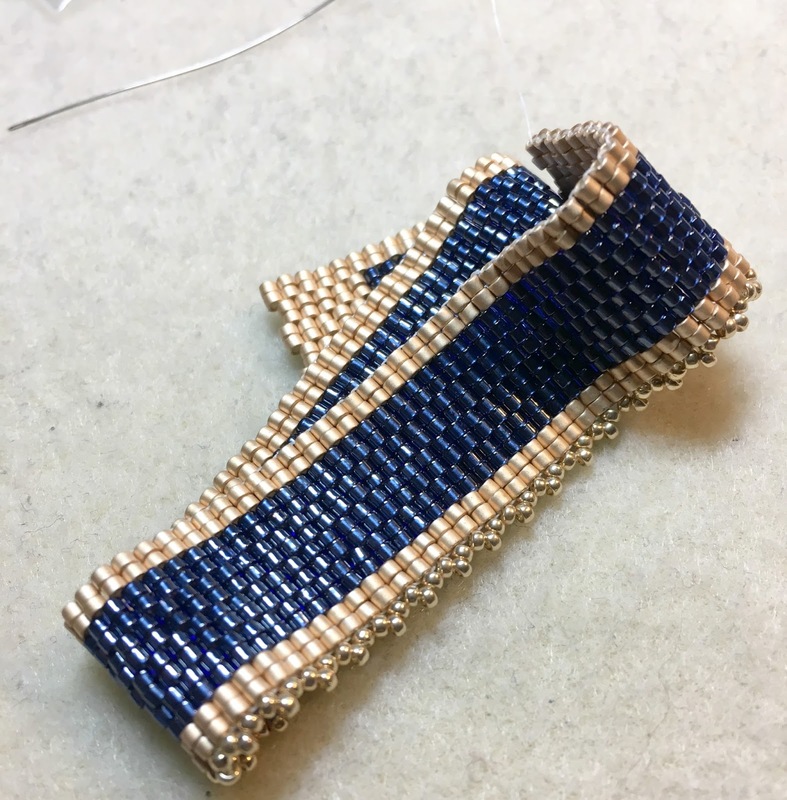 I always think a beaded clasp looks much more finished than a commercial finding. I can't wait to see what happens next with the silver piece. Layering is something I always mean to experiment with, but never quite get around to. Perhaps this will inspire me to give it a try. Birds...they are worth an expanding UFO pile, if it came to that. Especially those owls ~ they grow so fast and you don't want to miss it! I love, LOVE the simplicity of the first bracelet. It is a perfect everyday bracelet. I often think we need to make more of these types. And I am really looking forward to seeing how the black and silver one turns out! I could have sworn I visited you and left a comment .... perhaps that was in my mind?! So if I'm repeating myself - my apologies! First, I can see why your attention has been to birding! I've been seeing your amazing pics here, and over on Instagram .... and they are just wonderful! I love simple peyote strips ... it is my go-to stitch to relax and just bead. The colors you have here are luscious. That deep blue with gold - yum! I wish I could do a beaded toggle, but with my luck I'd end up with more UFOs lying around! Can't wait to see what you do with your second Peyote strip - next time! I am absolutely smitten by the horned owl. So majestic. Your photos are wonderful. We have an owl that nests in a nearby cactus but I have only managed to see it one time. As for your UFO - love that gold bead color.. very satiny. And you are right! Now you have room for more in your UFO drawer!